Our goal at The Vicious Cycle is to provide the best workout experience in the area. We are dedicated to creating high-intensity workouts in a fun environment. We also aim to establish a close-knit group of health conscious individuals who work together to reach common goals, motivate one another, and encourage positive lifestyle changes! We offer both Spin and Strength Training classes. We are here to encourage, motivate, and inspire you. Whether you are new to working out or have been doing it for a while now we are sure you will LOVE what we have to offer! Please join us! We promise you won’t regret it! 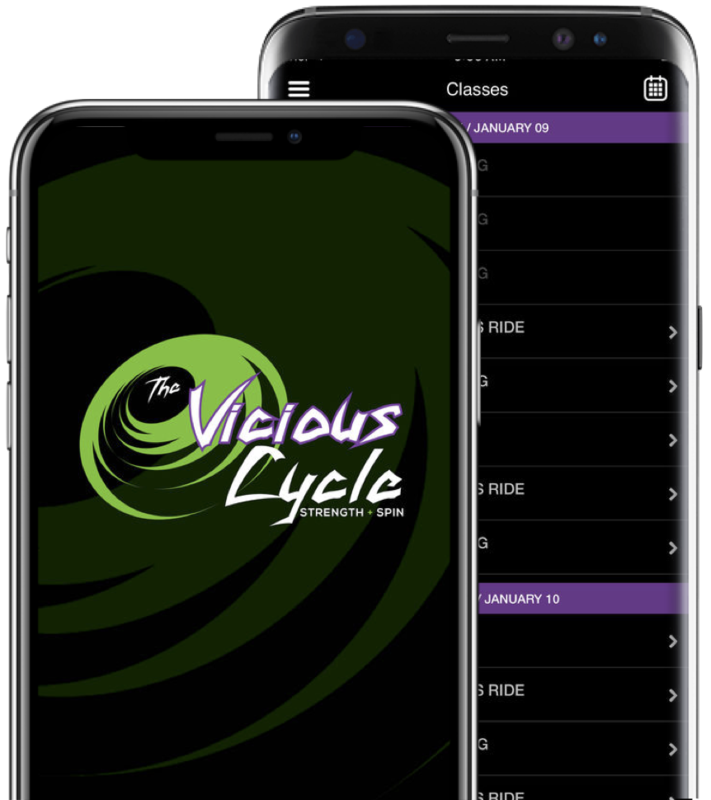 The Vicious Cycle App A Great Way To Stay Connected And Book Classes! The Vicious Cycle app is a great place to plan and schedule your classes! From this mobile App you can view class schedules, sign-up for classes, view ongoing promotions, as well as view the studio’s location and contact information.